Icicles…beautiful, dangerous, and a sign of an inefficient building. With February’s snow, just a brief drive around Rochester will reveal some really awe inspiring icicles. As amazing as they are, as the temperatures warm up, they can be dangerous if not deadly. They create falling hazards some icicles reaching weights of bowling balls and others of several concrete blocks. Please be aware of these dangers as your children are playing outside and you are walking around. An icicle is formed by the melting and refreezing of snow on the roof. Warm air from the house leaks to the underside of the roof melting the snow. When the liquid water reaches the eaves and gutters, outside temperatures refreeze the water into ice, creating ice dams and icicles. 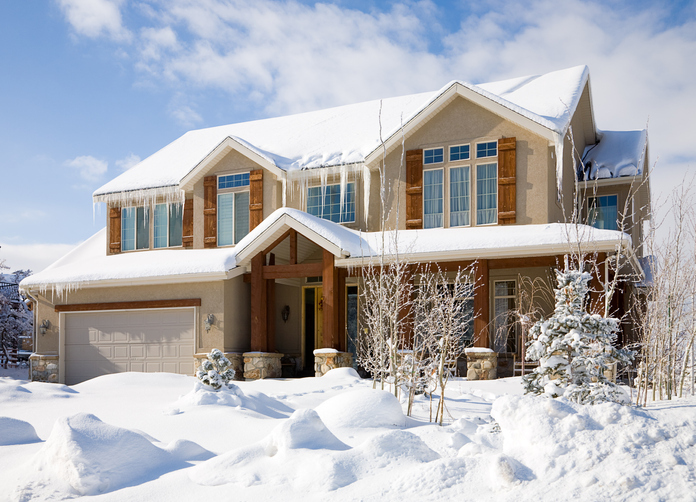 The ice dams can cause damage to both the inside and outside of your home through the sheer weight and water infiltration as many will find out as we creep into spring. Not only are they dangerous and damaging, but they are a sign of an inefficient building as well. All of that heat used to melt the snow is coming from your building. This can be prevented with the right amount of insulation and air sealing. Getting an energy audit and contacting an insulation expert are the best ways to avoid problems in the future. Rochester Public Utilities (RPU) will be hosting an educational forum on utility rate structures on Tuesday, July 24 at the RPU Service Center Community Room starting at 5:30pm. The goal of the forum is to educate customers about utility rate structures that have been used across the industry and the pros and cons associated with each. Presenting at the forum will be Mike Bull, Director of Policy and External Affairs for Center of Energy and Environment, along with Mark Beauchamp of Utility Financial Solutions. The forum will also provide an opportunity for attendees to ask questions about the presentation and rate structures. For more information on the educational forum, contact Tony Benson at 507.280.1534 or tbenson@rpu.org. Check out the energy education opportunities available now through RPU! 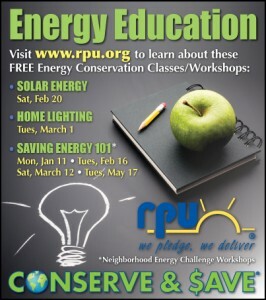 The energy conservation classes and workshops are FREE, but space is limited so register today!